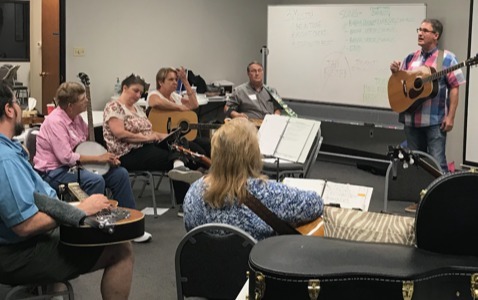 Russell Paswater has played and taught bluegrass banjo and guitar for 38 years. He is a songwriter and sings in two bands including the H2O band, second place winner of the Bluegrass Band contest at Beanblossom, 2000. 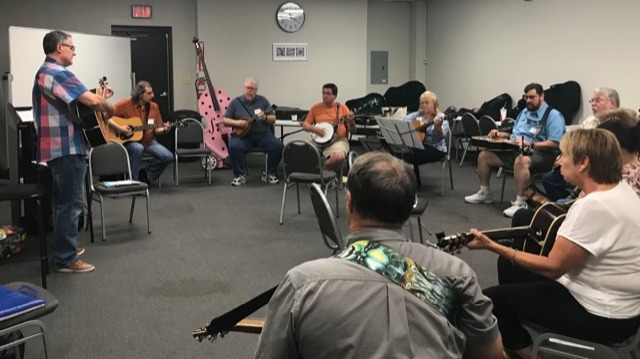 Russell has guided hundreds of jam sessions at bluegrass festivals and always invites beginners because “It’s all about FUN!”"